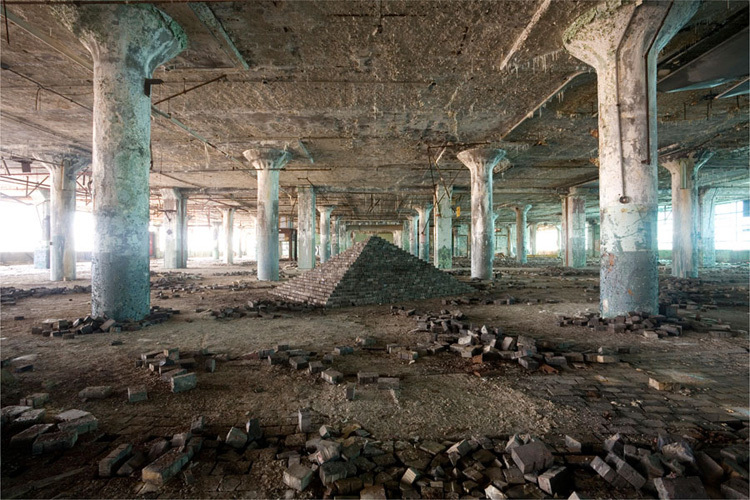 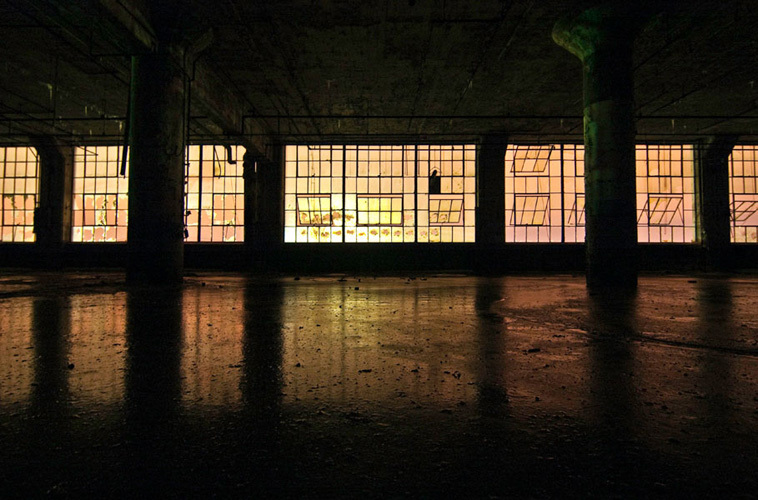 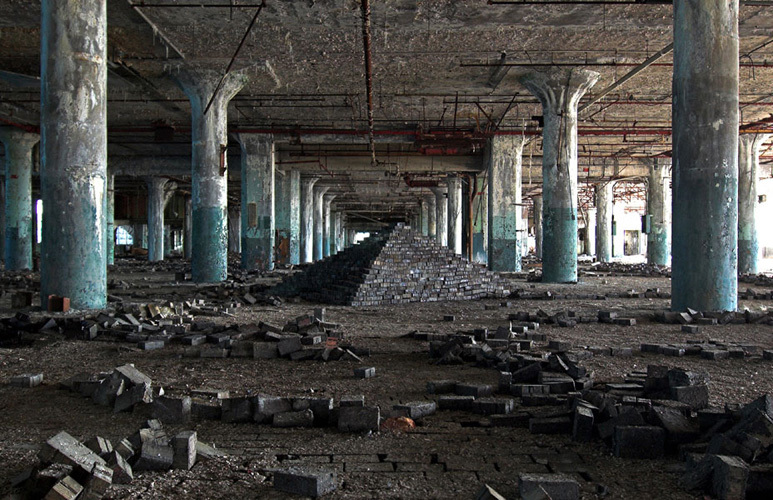 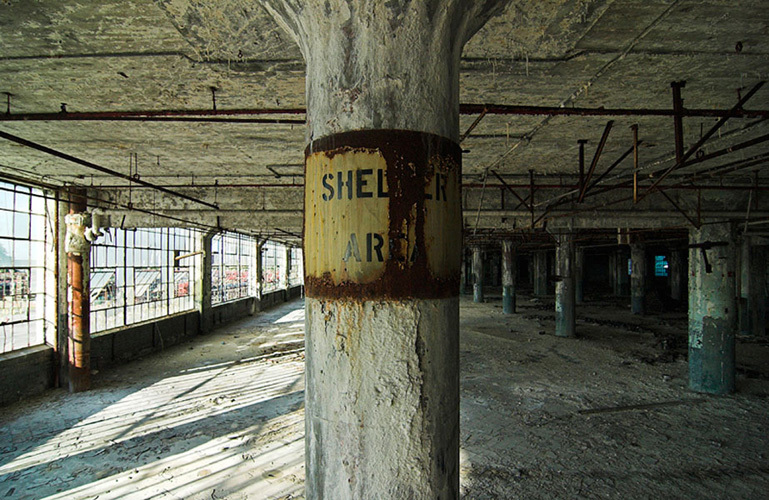 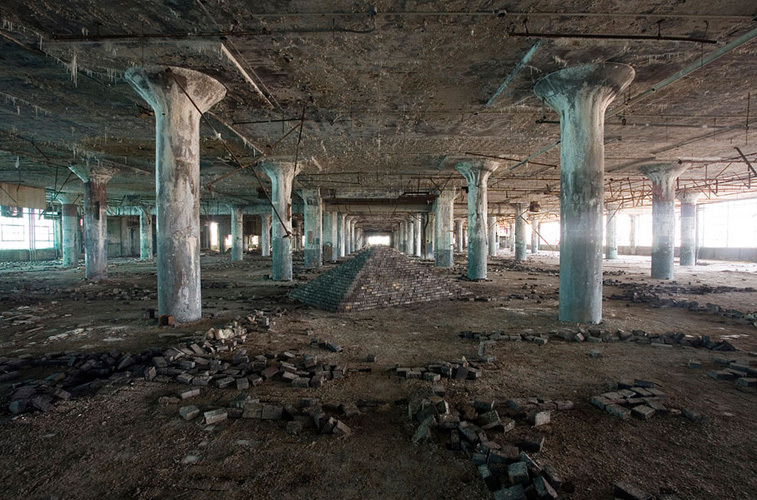 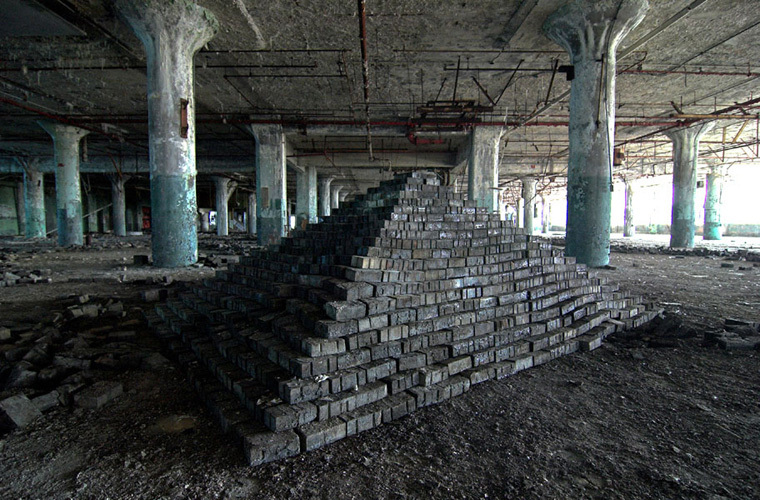 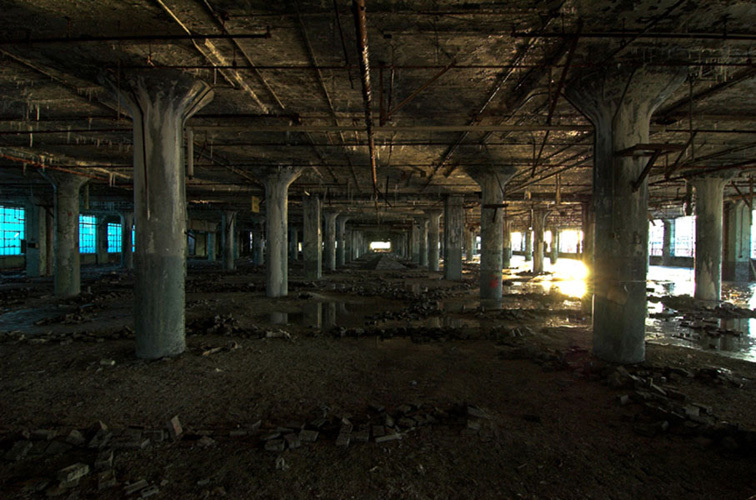 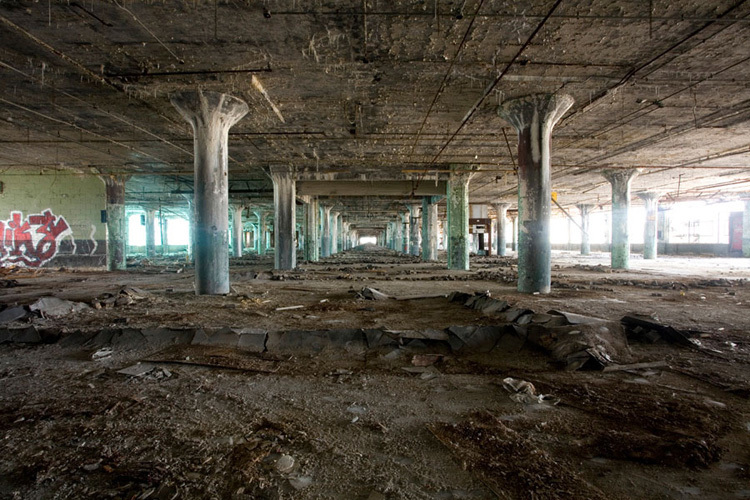 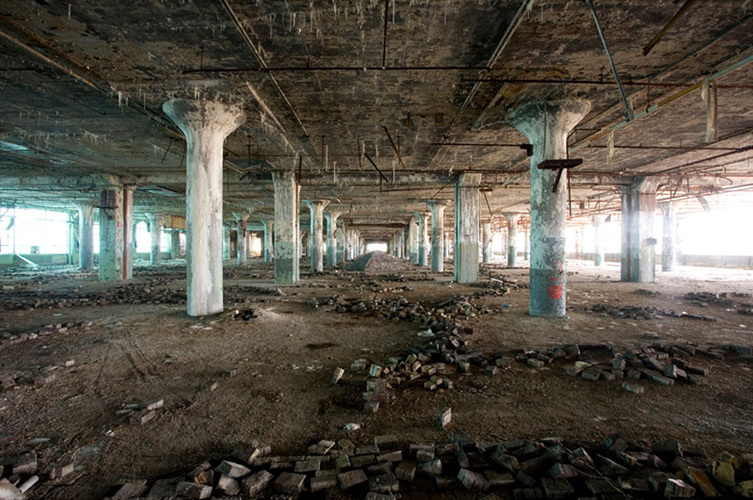 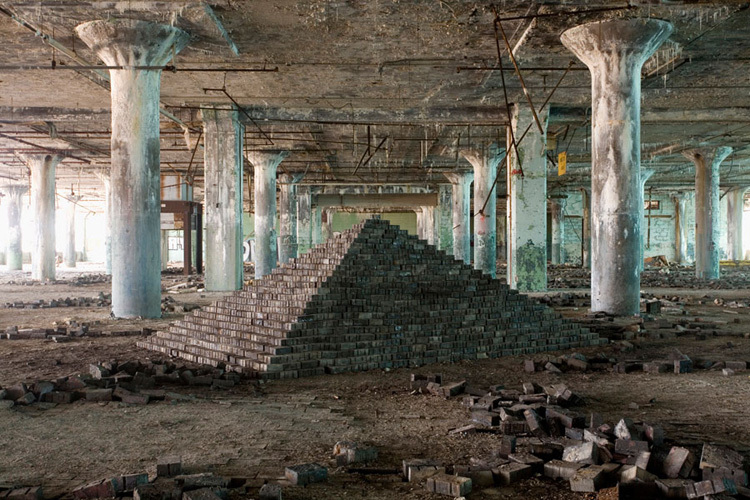 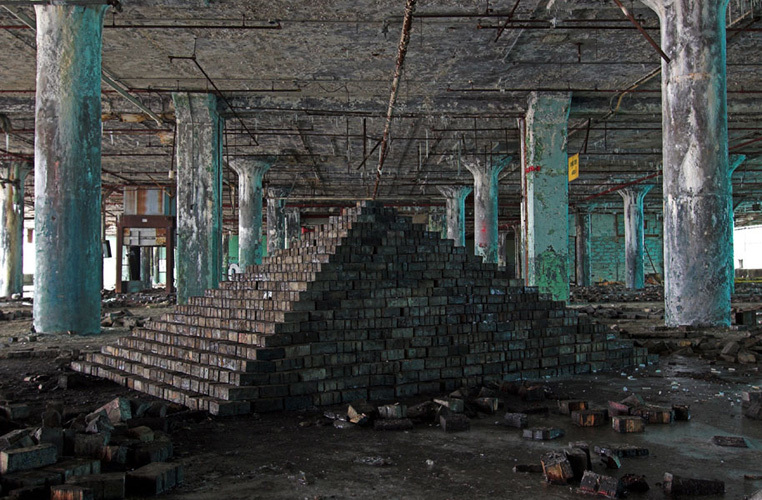 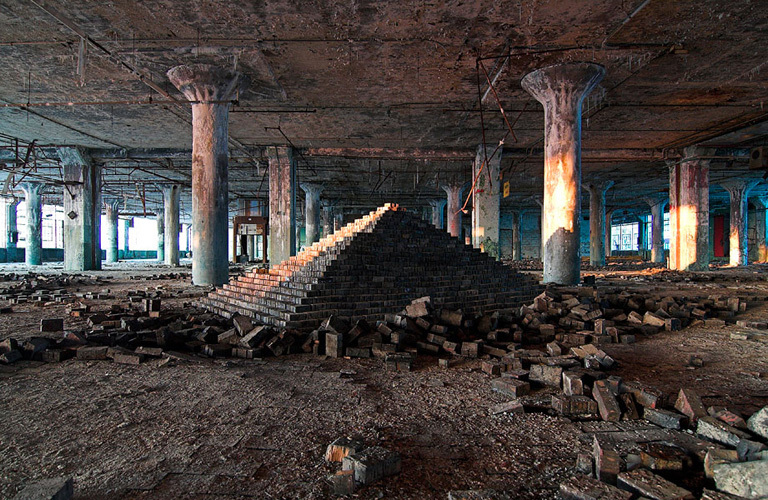 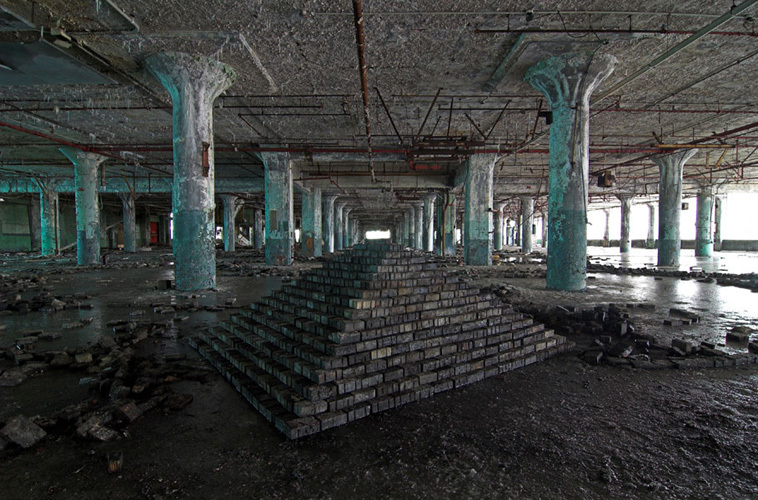 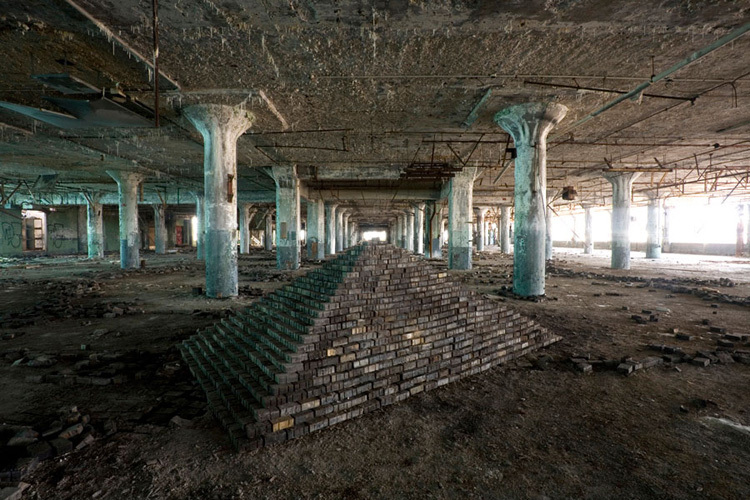 ZIGGURAT is a site-specific sculptural installation made from 6,201 wooden floor-blocks within Detroit's abandoned Fisher Body Plant 21. 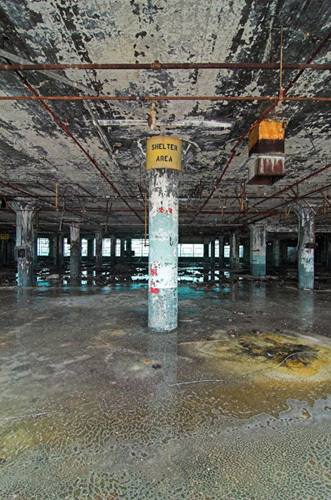 Vacant since the 1980s, the elements have deteriorated FB21, turning it into a man-made cave, with stalactites and stalagmites forming as water and snow make their way through the roof and windows. 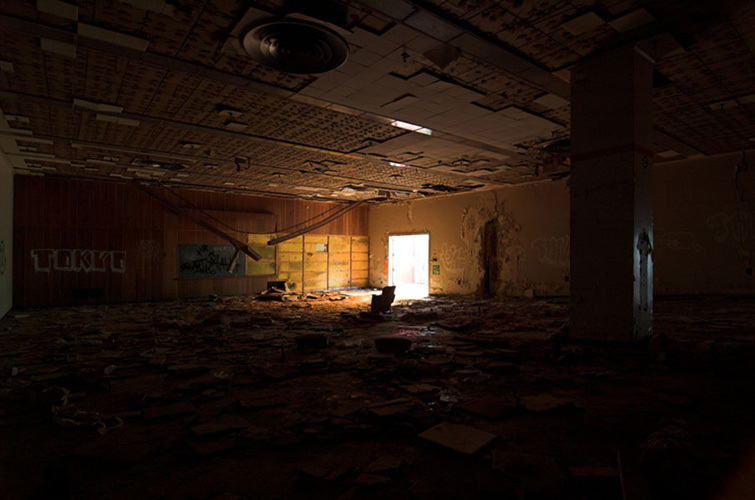 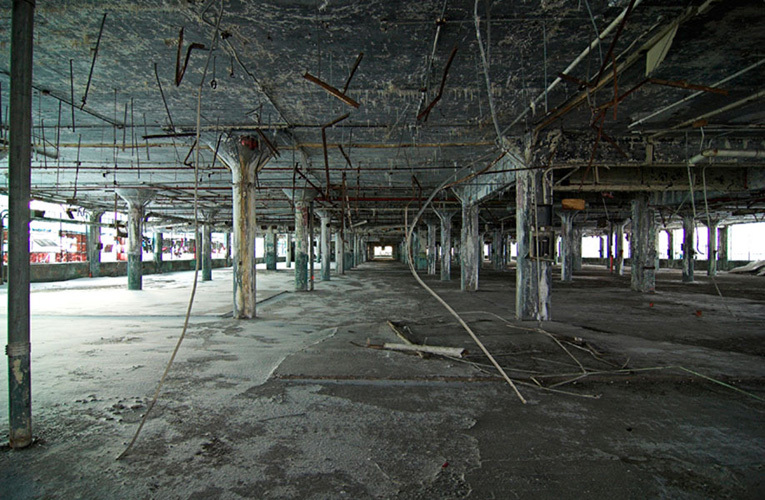 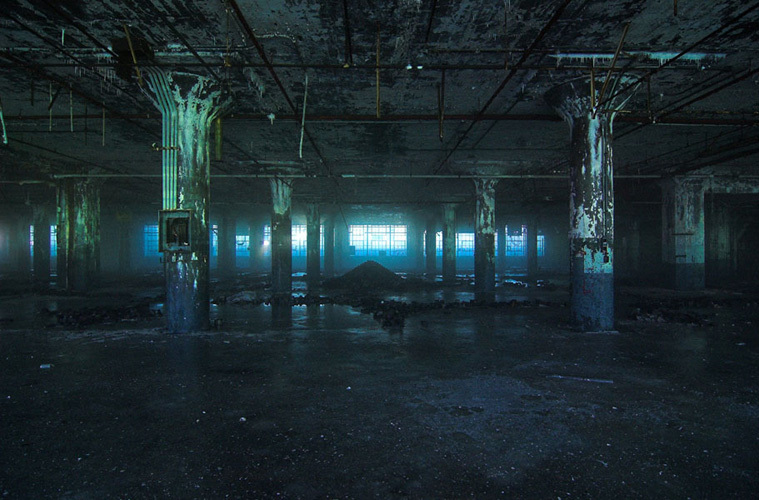 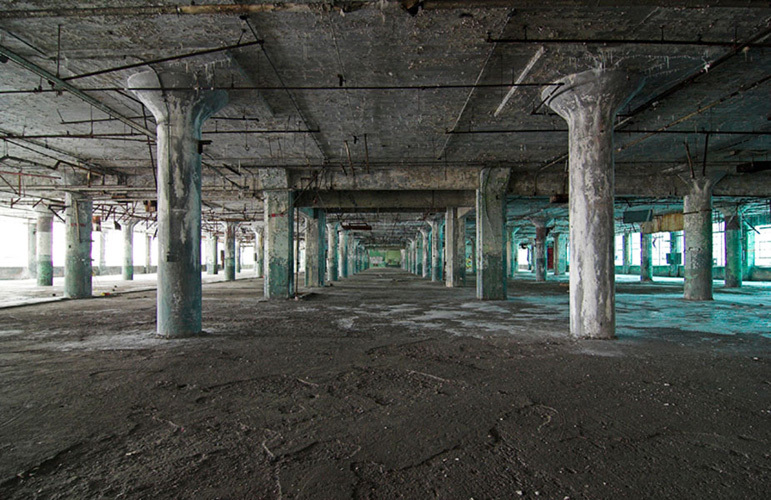 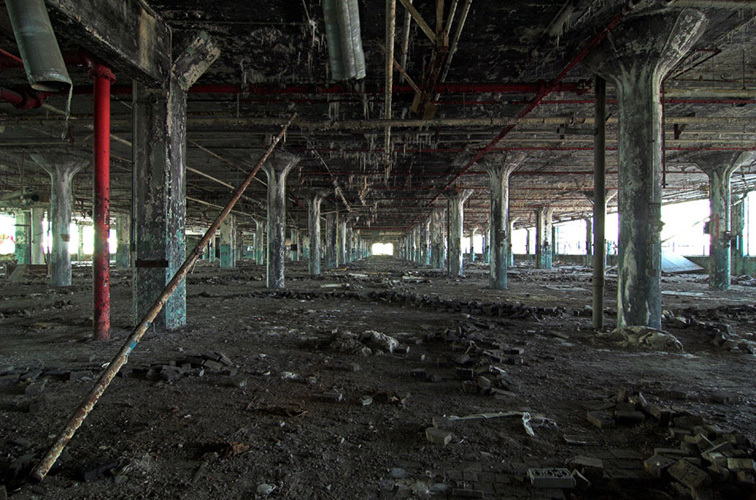 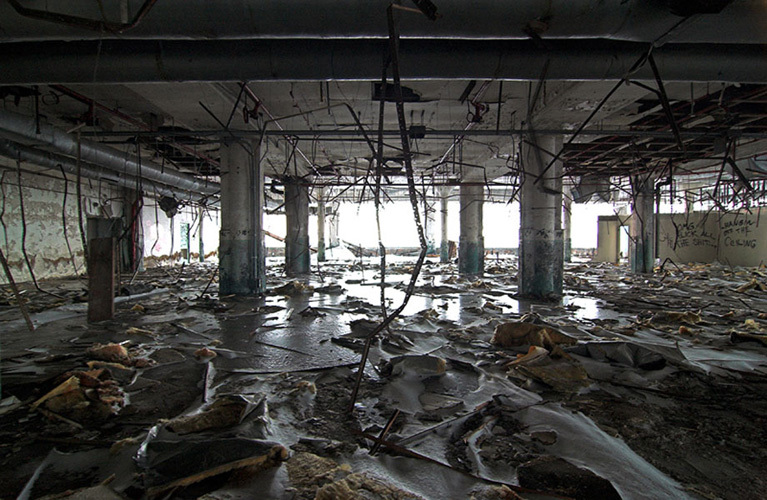 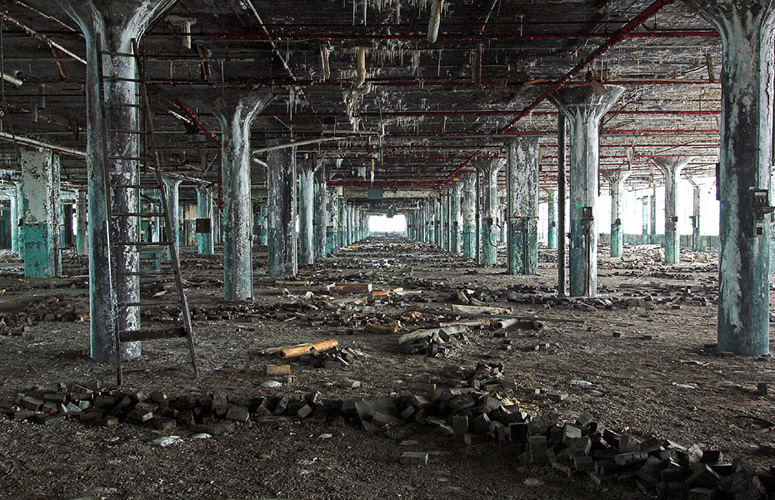 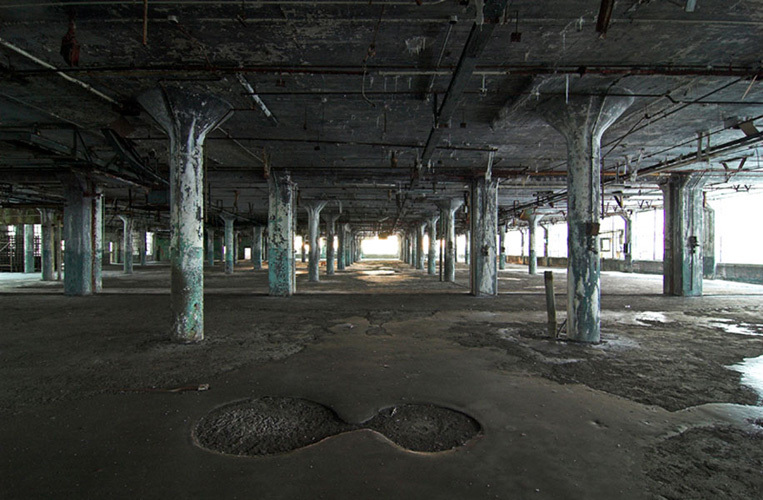 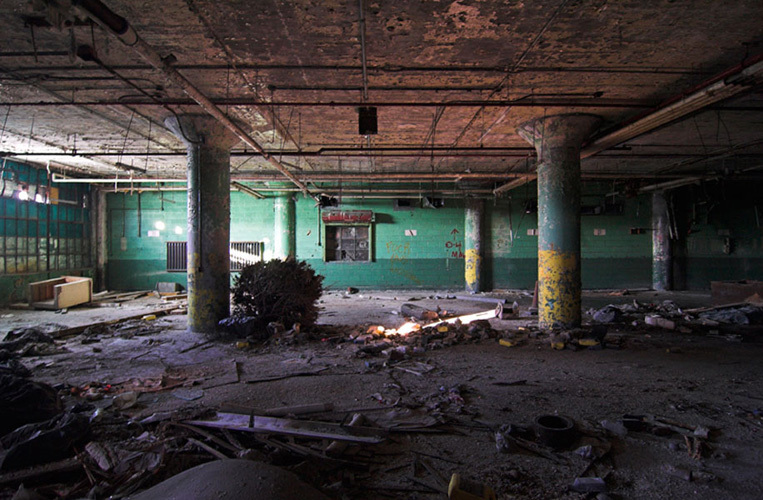 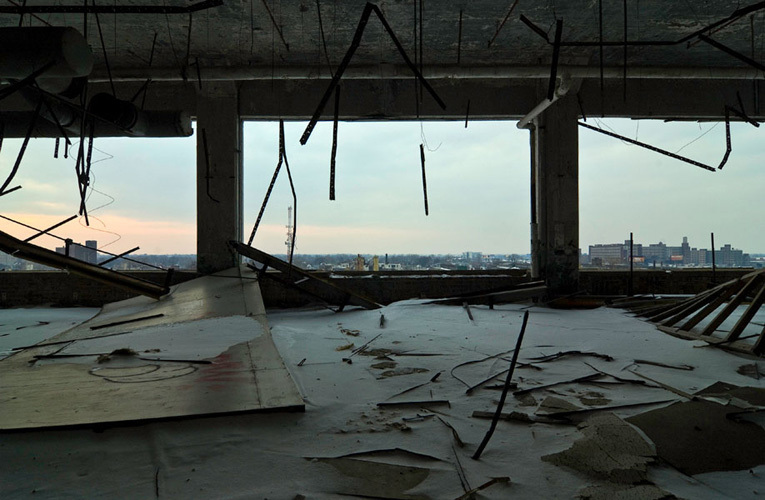 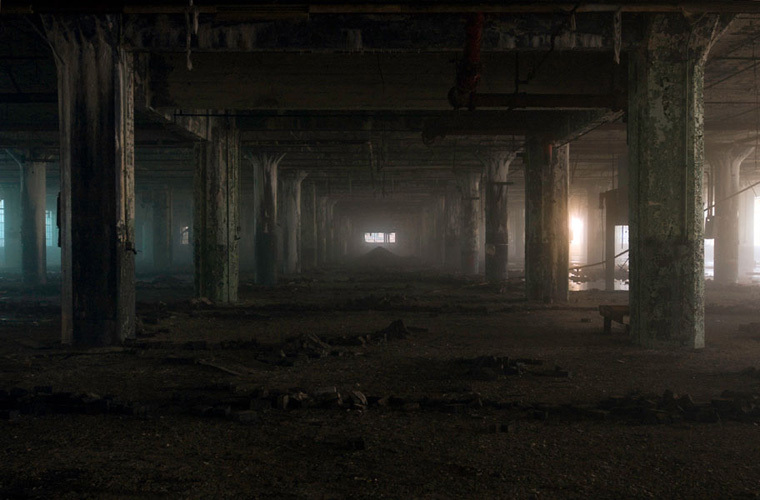 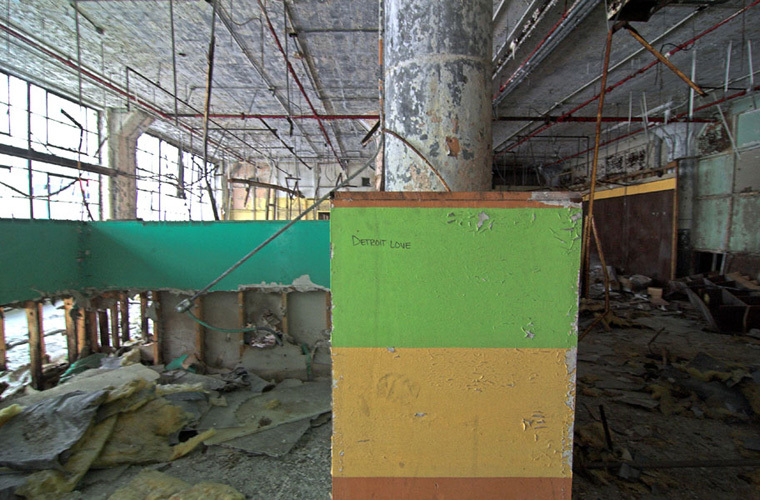 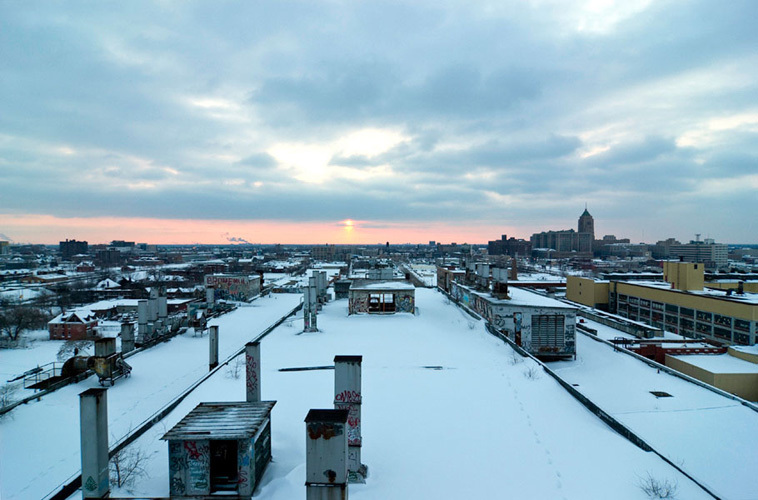 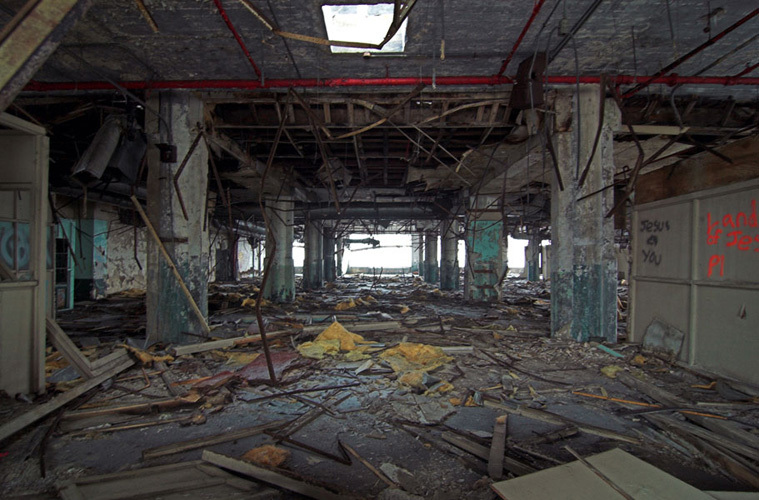 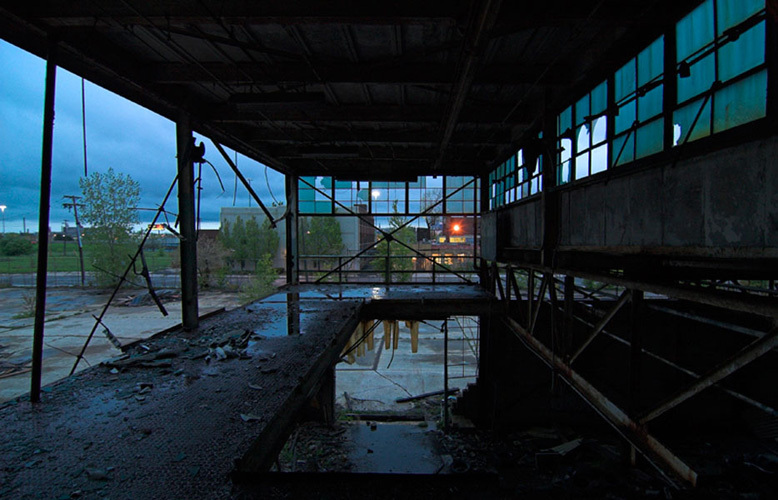 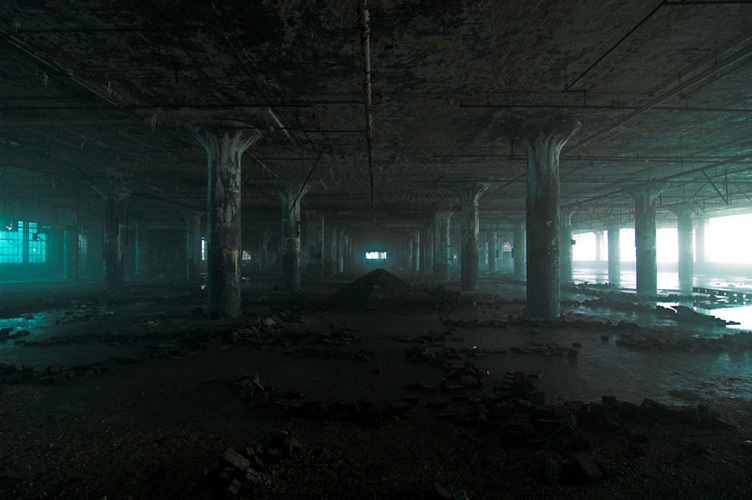 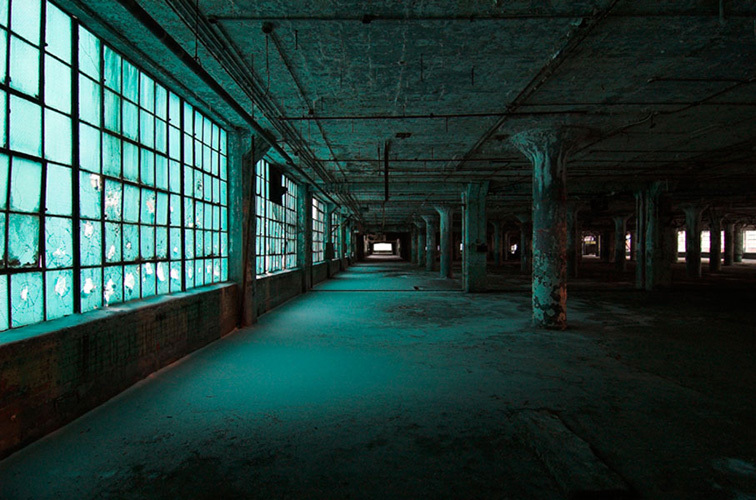 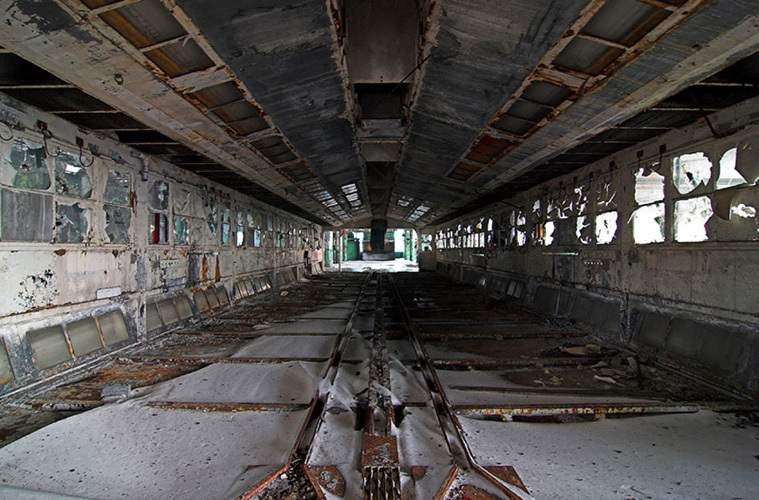 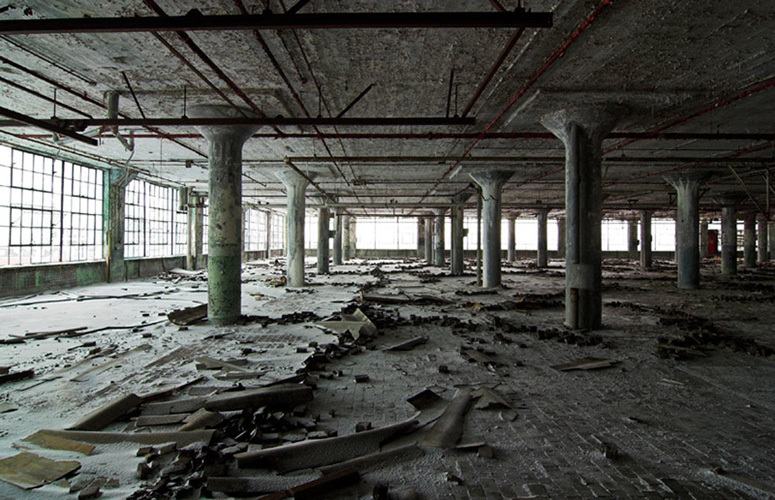 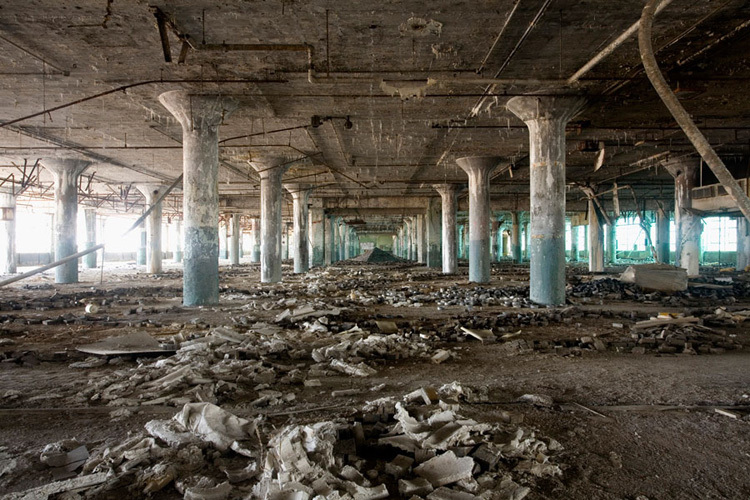 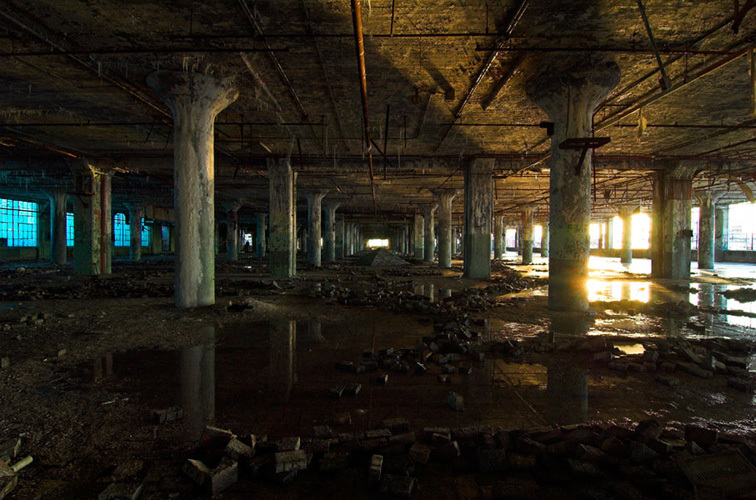 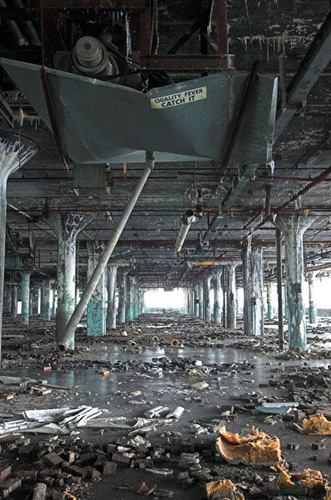 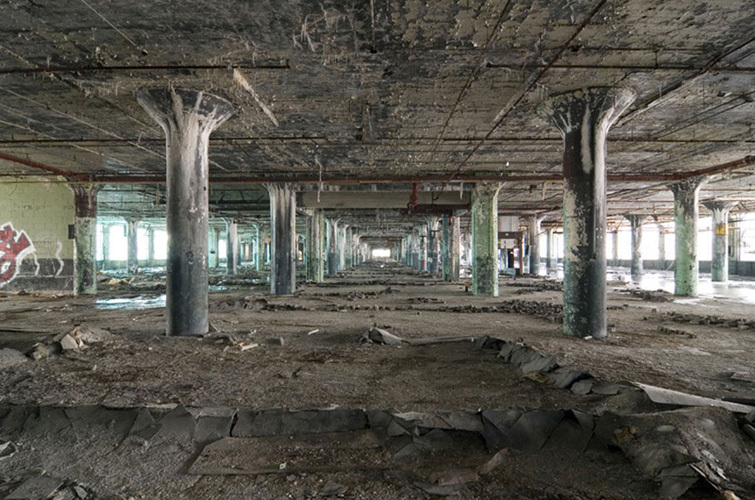 The factory was stripped clean by scrappers, but thousands of wooden floor-blocks remained; buckled in vein-like patterns over years of freezing and thawing. 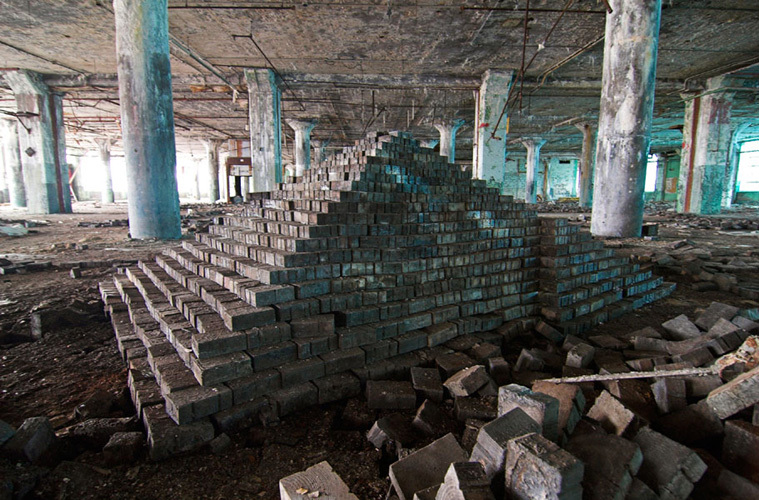 The Ziggurat took about 8 months to build, but was destroyed when the Environmental Protection Agency boarded and re-fenced Fisher Body, cleaning out any hazardous materials - including the creosote preserved floor-blocks that made up the wooden pyramid. 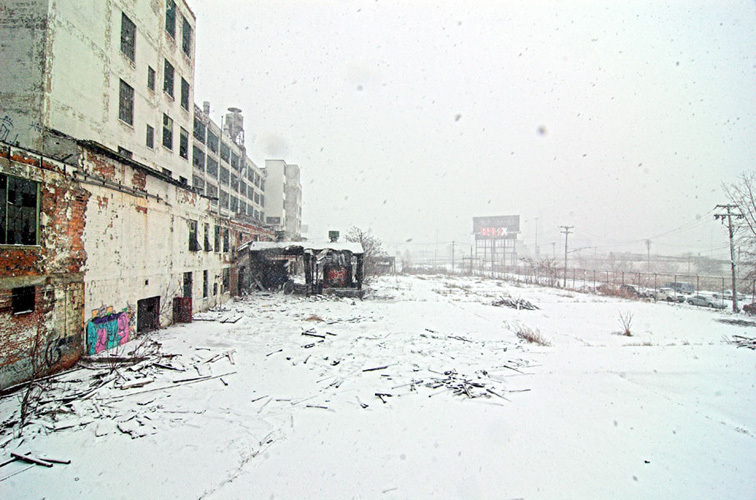 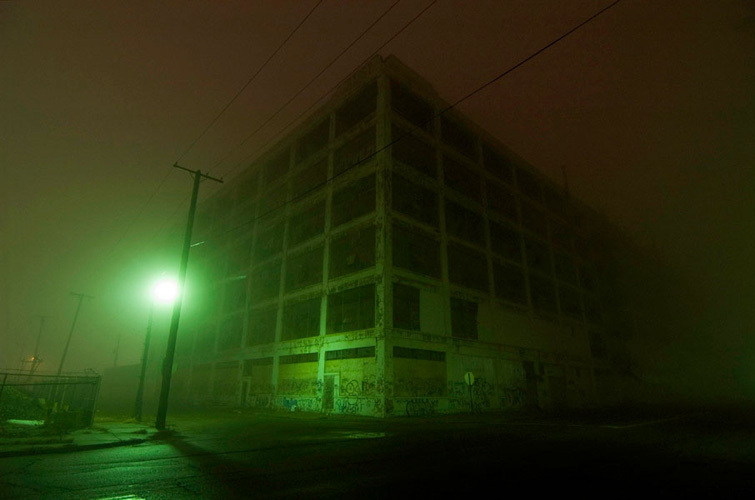 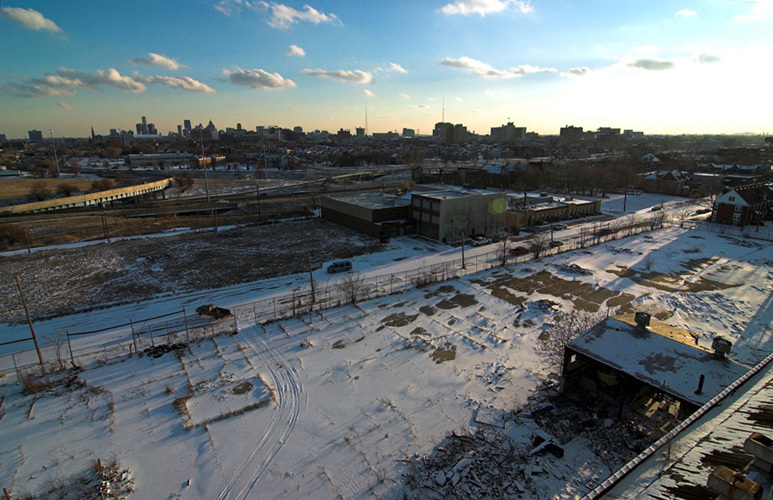 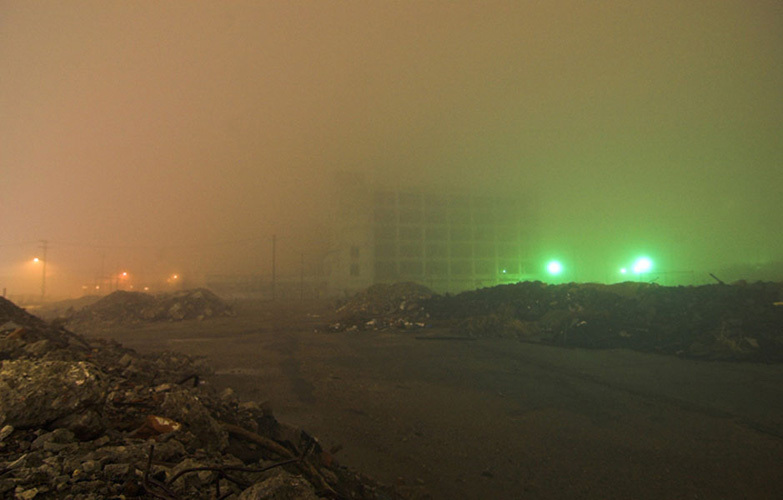 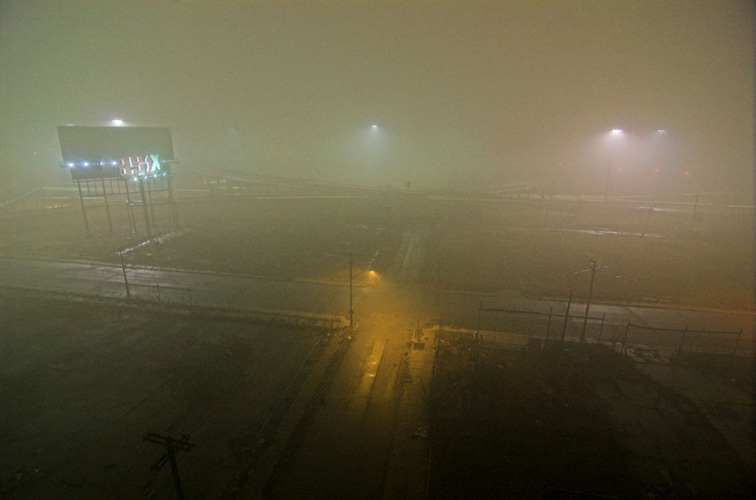 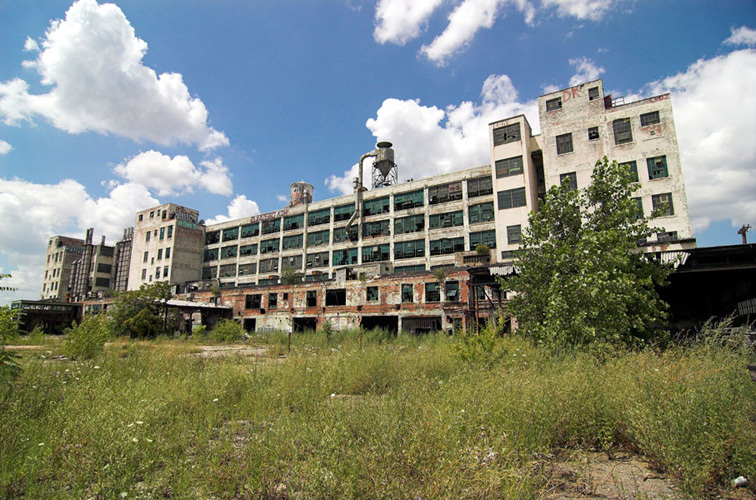 Five months later, by January of 2009, the EPA was gone, and FB21 was re-opened by scrappers. 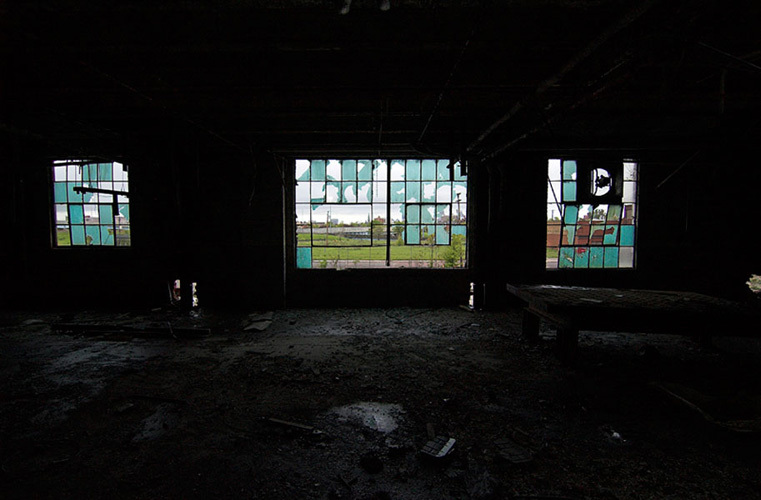 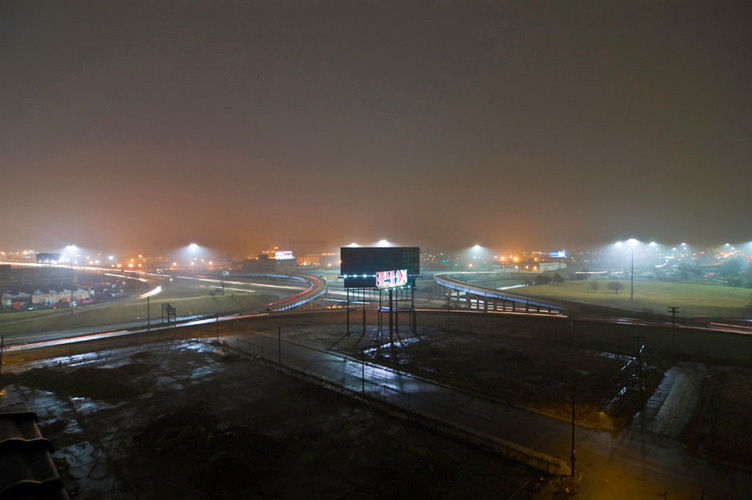 By 2010, the south parking lot became a guarded police impound – with a new fence along the south side of the building to keep scrappers and trespassers from sneaking into the through the building. 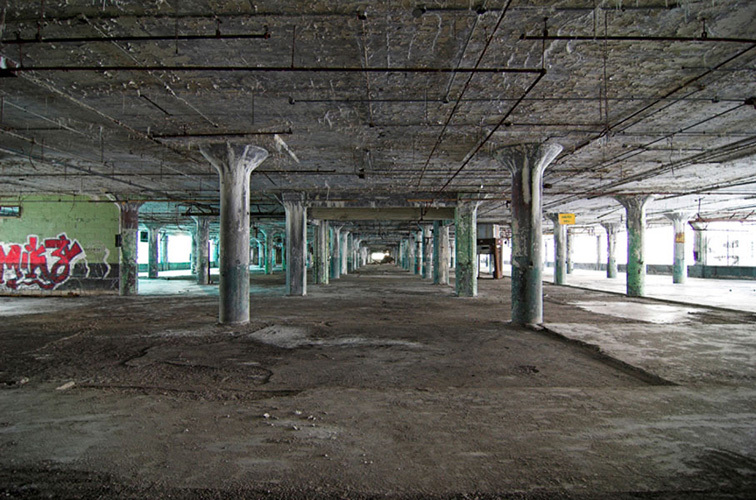 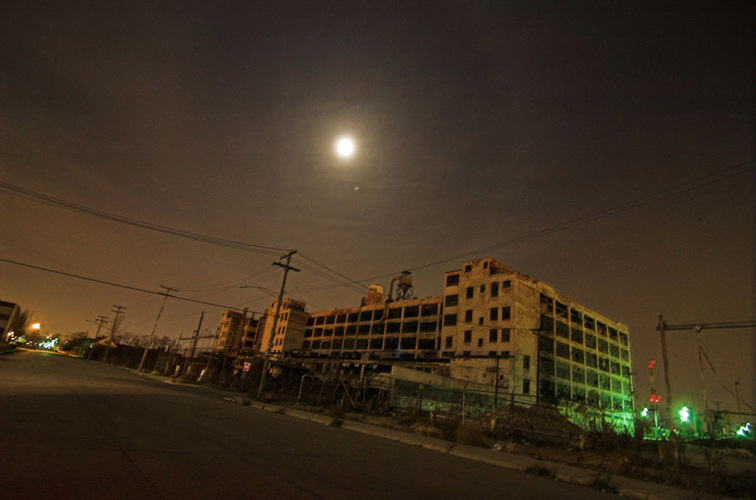 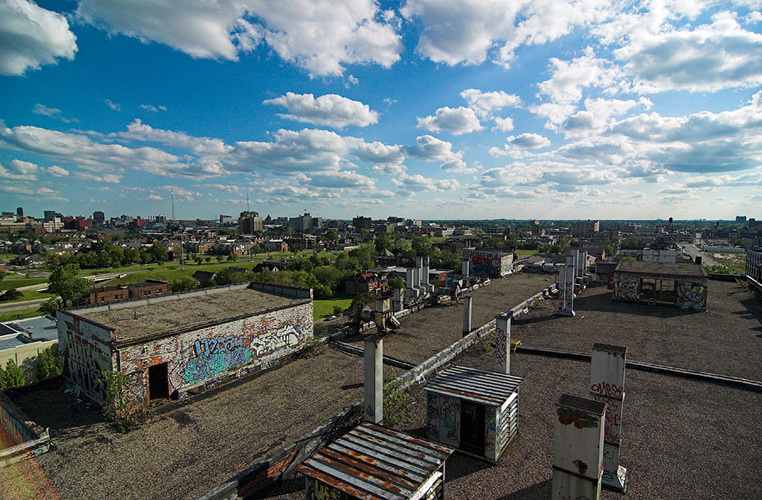 Since then, the site has been periodically torn open and re-boarded, and rumored to be renovated into a storage facility, a loft complex, and a music venue. 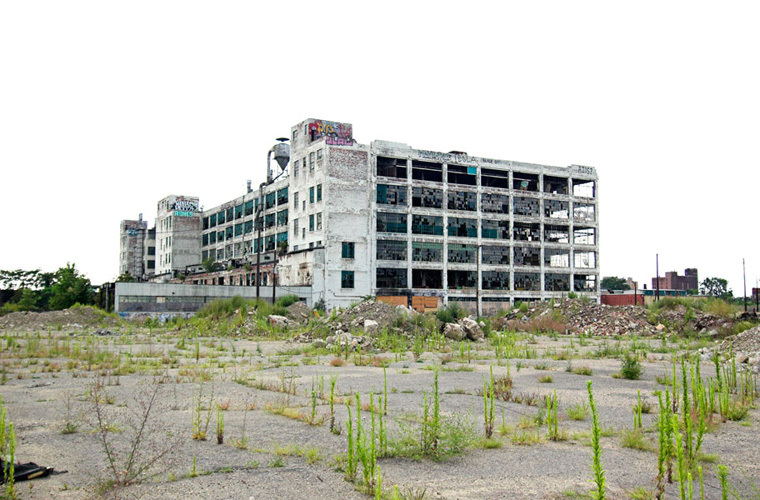 As of 2016, the lots and street around the building are used for City services storage - but the plant still sits vacant.